Almond frangipane is a classic French preparation that can be made in moments. 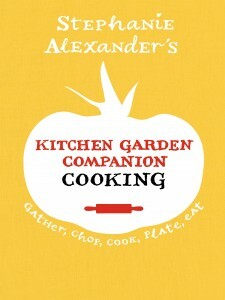 It provides a delicious base for raw or poached fruit and is spread over uncooked pastry to make simple tarts. It can be made in advance and stored in an airtight container in the refrigerator, then softened at room temperature or in the microwave in less than a minute. This recipe uses ground almonds, but it can be made with ground hazelnuts or walnuts. 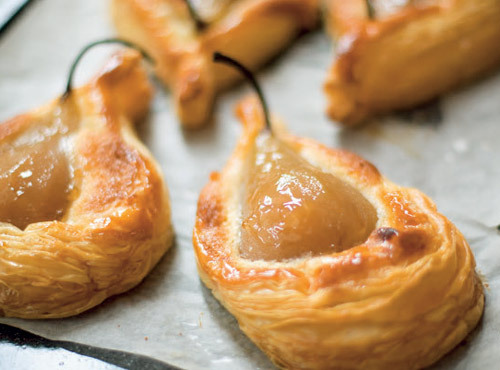 A fun variation is to leave the poached fruit halves whole and to cut pastry shapes to echo the shape of the fruit being used, thus making individual pear or even peach or plum tarts. Each pastry shape must be chilled well before baking to prevent shrinking. To make the almond frangipane, cream butter and sugar in a food processor until light and creamy. Add the ground almonds and flour and pulse briefly. Add egg yolk and mix just until you have a smooth cream. Scrape into a bowl until needed. Lift pastry sheet onto a baking paper-lined baking tray. Lightly mix the other egg yolk with a fork and brush it all over pastry with a pastry brush, ensuring that no egg drips over the edges (this will impede rising). If making a rectangular tart, score a 1 cm border around edges and prick centre with a fork. Chill in the refrigerator for 20 minutes. Preheat oven to 210°C. Cut fruit into thick wedges, then lightly press into frangipane, arranging them in closely packed and slightly overlapping rows. (For individual tarts, place halves over spoonfuls of frangipane.) Brush fruit with a little reserved syrup. Chill in refrigerator for 15 minutes. Bake for 20 minutes, then reduce heat to 170°C and cook for another 20 minutes (Bake individual tarts for 15 minutes at 210°C and 15 minutes at 170°C.) Carefully paint fruit once again with reserved syrup. Bake for another 5 minutes; pastry should be the colour of toast so that it is really crisp and crunchy. Cool tart/s on a cake cooling rack before slicing with a serrated knife, if necessary (use a sawing action rather than pressing through the pastry). Serve with double cream or ice cream.